Studio Munge | Park View Mansion T.F. 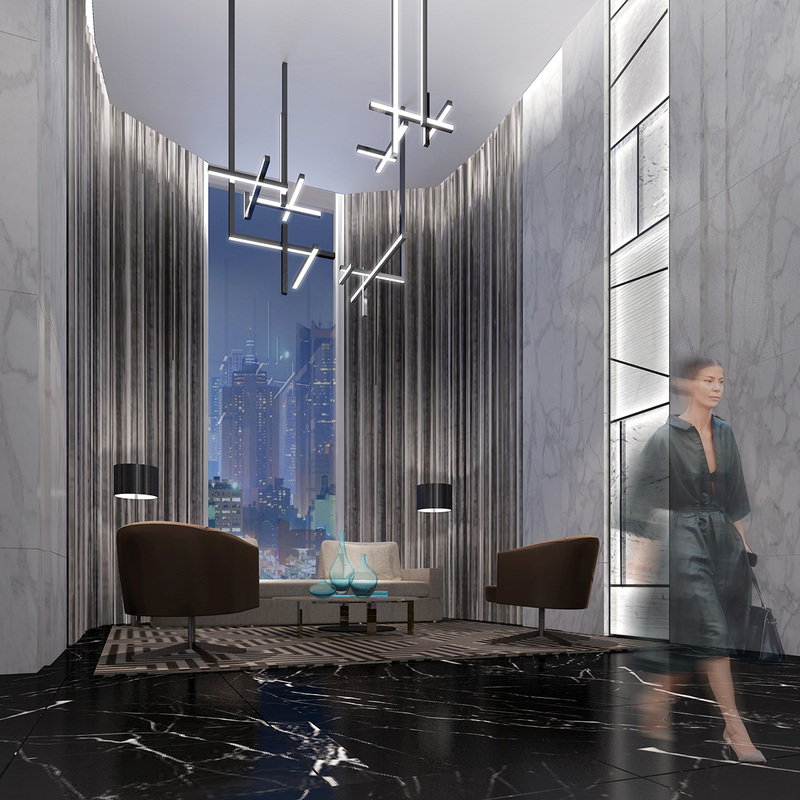 Inspired by the esteemed fashion house of Tom Ford, the Park View Mansion will inject new life into the Nanshan District of Shenzhen, China, as part of the area’s extensive redevelopment by the premier Chinese developer, China Resources Land Ltd. Amassing nearly 11 million square feet, this new urban village is one of the largest urban reconstructions in China’s Guangdong Province, and will include a 300-meter tall office building, a five-star hotel, two four-star hotels, a 2 million square foot shopping mall, and six residential condominium towers. The Studio Munge interiors will feature high-contrast monochromatic finishes together with a refined minimalist aesthetic in details, embodying dynamic modern values and an appreciation for clean simplicity. 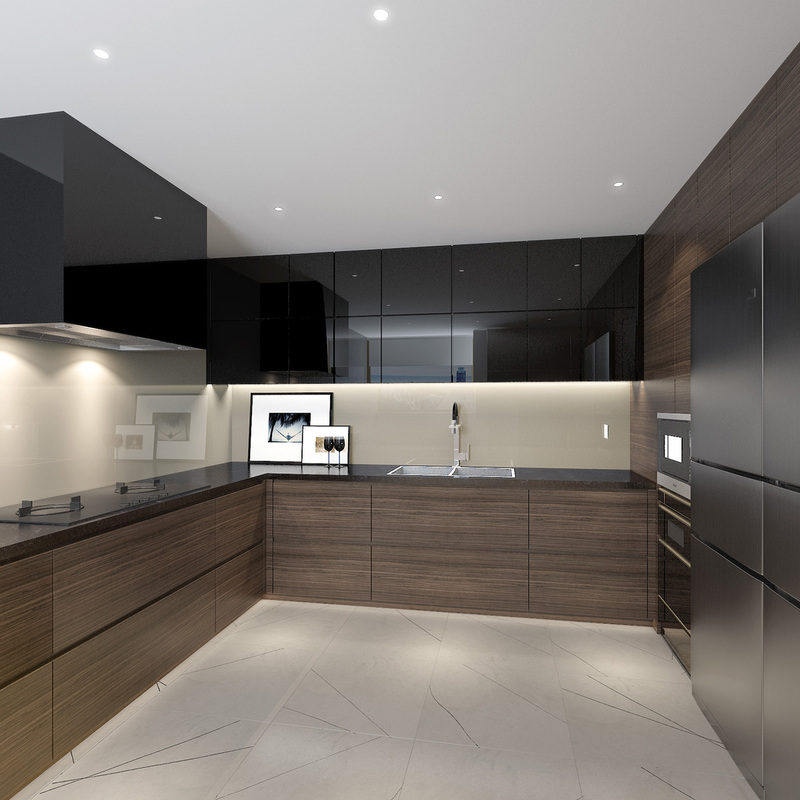 To soften the design contrast in the residential suites, the dark wood and black lacquer cabinetry are here complemented with a beige natural stone. In kitchen and bathrooms, concealed hardware and sleek modern appliances provide a clean seamless design solution.